Operating System Windows 7 or later (latest service pack/build), OS X 10.12 or later (latest update), Internet access for driver download. 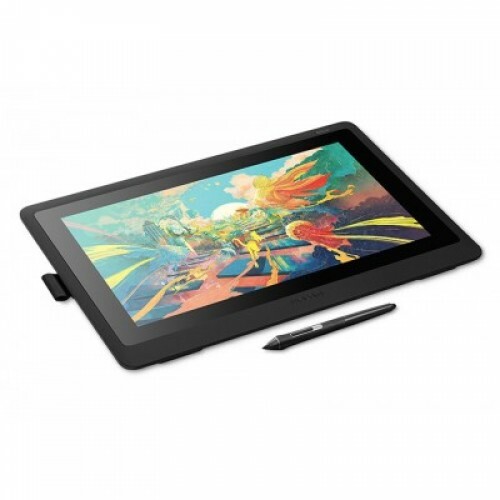 Wacom DTK-1660 Cintiq 16 Graphic Tablet has creative pen display which is perfectly equipped to help you begin your journey as an illustrator.This geaphics tablet gives you Vibrant color, HD clarity and ergonomic design together with the super-responsive Pro Pen 2 and a truly natural experience and help take your creative ideas to the next level. 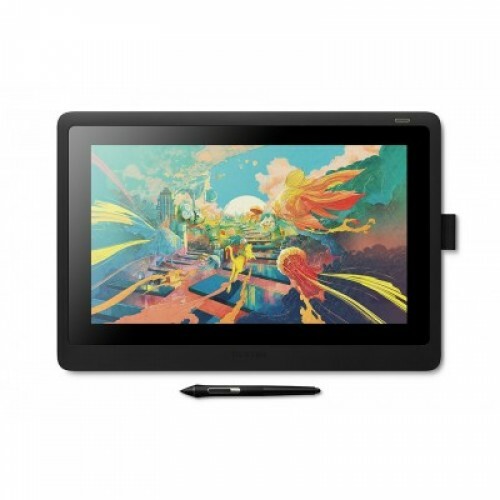 The Cintiq 16 Graphic Tablet has 1920 x 1080 (Full HD) and 5080 lpi resolution, 422 x 285 x 24.5mm (16.6 x 11.2 x 1.0 in) Display Size, 1.9 kg weight without optional stand, 39.6 cm / 15.6 in size screen, maximum 16.7 million Displayable Colors. a-Si Active Matrix TFT LCD (IPS) Technology is used in this product. The 3-in-1 cable that connects to your Wacom Cintiq combines power, video and data in one. It also connects to the top of the screen to avoid unwanted desk clutter. The detachable pen holder can be easily moved to either side of the display to suit your preference and Spare nibs are also stored neatly inside the pen holder, so whatever the project, the right tool will always be close to hand.It has 1000:1 (typ) / 600:1 (min) contrast ratio, 25 ms Response time, 8192 pressure levels for both pen tip and eraser, ressure-sensitive, cordless, battery-free, 3 in 1 cable (with HDMI 1.4, USB 2.0 and AC adaptor) Power Cable (1.8m),100 to 240 VAC, 50/60Hz input power supply, 12 VDC, 3A (max) output power supply. Detachable pen holder with 3 replacement nibs (standard) and nib removal tool with 01 year warranty. Whether you’re used to creating on paper or using a pen tablet, making the switch to Wacom Cintiq will feel like a natural progression. The seamless interaction between pen and display will help improve your creative flow. Whether you’re used it to creating on paper or using a pen tablet, making the switch to Wacom Cintiq will feel like a natural progression. The seamless interaction between pen and display will help improve your creative flow.